If you have worked with Reitmeier, you know that we are committed to being a leader in everything we do. And this includes leading the way in ensuring that environmental sustainability is not compromised in the commercial buildings we service, in our environmental policies, in our operations, or in the performance of our staff and supply chain partners. We are committed to initiatives and activities that incorporate sustainable construction practices, materials, and products in everything we do. So, it only makes sense that we take time to reflect on our efforts to create a healthier environment as we near April 22—Earth Day! Established in 1970, Earth Day is now a worldwide demonstration of support for environmental protection. In honor of this eco-friendly holiday, we also thought it would be a fitting opportunity to share more about the ways we incorporate environmentally-sustainable practices into our business all year long. Common refrigerants historically used in both residential and commercial HVAC alike put our environment at risk – depleting the ozone that is essential for protecting every living organism on Earth from harmful ultraviolet (UV) rays from the sun. That’s the reason Reitmeier reclaims and recovers all refrigerants we remove from HVAC units right on site, use recovery equipment, and ship to a reclaim facility for disposal. If your organization is striving to comply with the stipulations of the Clean Air Act, Reitmeier can be your partner in meeting these standards: our HVAC service technicians are licensed per the EPA’s requirements. One of the primary ways to control and reduce energy consumption is through quarterly maintenance and tune-ups to your HVAC system. Unfortunately, the byproduct of this service is the increased waste created by air filters. However, through strategic partnerships with local, like-minded companies, Reitmeier has solved our filter waste challenge. 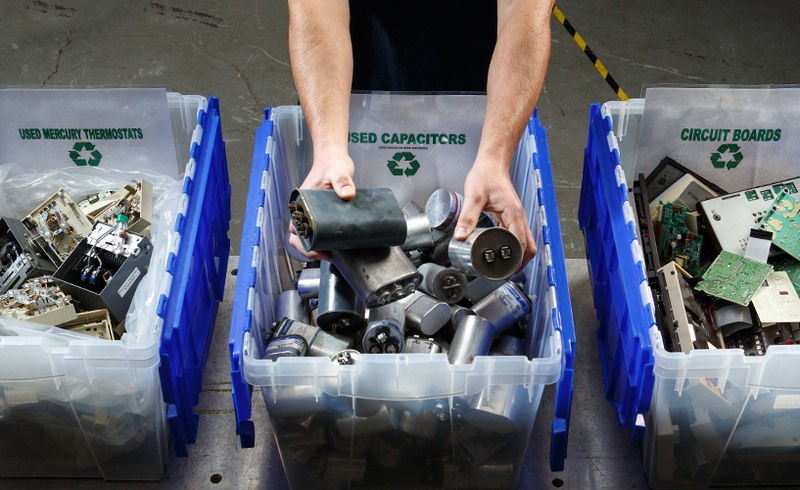 With our new system in place, zero percent of our clients’ filters end up in a landfill or in their on-site dumpster. Reitmeier is proud to be part of Energy Trust’s Trade Ally Network since its creation in 2003. Since then, we have served as one of Energy Trust’s valued trade allies in the field, helping customers complete energy efficiency and renewable energy projects across Oregon and Southwest Washington. In 2016, Energy Trust of Oregon recognized Reitmeier as a 2015 Top Performing Trade Ally for Existing Buildings. With more than 1,400 trade ally contractors in Oregon and Southwest Washington, Reitmeier ranked #5 among non-lighting trade allies in providing energy savings to customers through custom projects. According to Energy Trust’s calculations, we helped our customers save the equivalent of 998,461 kilowatt hours in 2015 alone! We’re proud to have customers who are equally committed to our mission of Balance – we continue to provide them with the same service they’ve appreciated for years—and in some cases, decades! 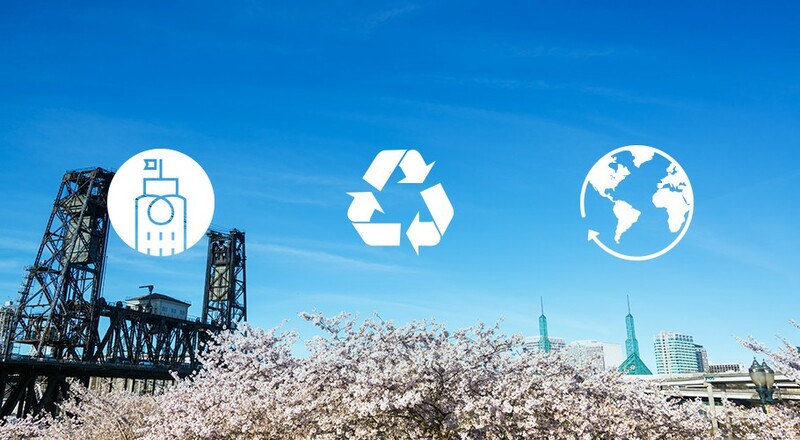 We’re also thrilled to welcome new clients such as Nike, Jones Lang LaSalle (JLL), TriMet, and Lincoln Property Company (LPC), who are all the “REIT fit” for us because they are equally committed to environmental sustainability and providing a great atmosphere for their employees and tenants. Inefficient cars and carbon dioxide-emitting trucks contribute daily to global warming—and as an HVAC contractor, we sought to find a delicate balance between maximizing efficiency while meeting our capacity needs. To do so, we made the changeover of our entire fleet over to vehicles that have high fuel efficiency, sustainable materials, innovative technology, recyclable and light aluminum bodies, and more. According to the U.S. Department of Energy, HVAC accounts for approximately 34% of energy used on-site in commercial buildings—and even more when there are inefficiencies in HVAC control and energy management systems. With this in mind, we help bring balance to your environment by ensuring that your controls and energy management systems (EMS) work together in harmony. Ensuring the efficient operation of your HVAC system helps to reduce the use of non-renewable resources and limits the greenhouse gases that buildings emit into the atmosphere. Packaging materials, cardboard, extra metals, and wood are all inevitable byproducts of our long-term projects. But while these supplies are all necessary for us to do our job, we can control whether they go to waste. We make a conscious effort to practice sustainable reuse and reclaiming of materials by putting bins directly on-site for recycling. Once these bins get filled, we cut out the middle man (and use less gasoline) by not moving the materials back to our office—they go straight to centers for reuse and reclaiming. We work hard to implement sustainable practices on work sites—and we also practice what we preach in our own office headquarters. Coming soon… our biggest sustainability endeavor yet! At Reitmeier, our mission of balance is also a commitment to be better stewards of the environment. With each action we take as a company, we think hard about what we consume and how we can minimize our impact. Our ultimate goal is to become a company that produces zero waste (and, we’re 99 percent of the way there!). We’re ready to take our efforts to the next level. Stay tuned for a big announcement about Reitmeier’s most recent pursuit to help make the world a healthier place—and to better serve the communities around us. Contact us today to find out how we can bring sustainable practices to your HVAC operations!